Stop by for a quick brew, they're all on tap! 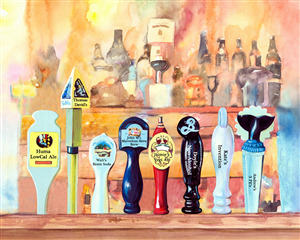 This delightful watercolor print brings the bar right to you. A framed fine art print is perfect for a rec room or college dorm.